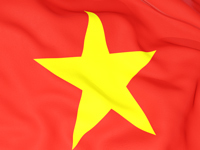 Here are the top nine reasons to work in Vietnam. From the decks of a smart river cruiser, enjoy viewing river life as you cruise along the waterways from the Mekong delta deep into Cambodia or overnight on Halong Bay. Not just Halong Bay and Mekong Delta, travellers can now explore Nha Trang Bay on a five-star cruise, which is named one of the 29 most beautiful bays in the world.